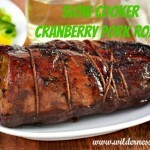 This is a collection of our favorite slow cooker Crockpot recipes on the Wilderness Wife Blog. Slow Cooker Recipes are among our most popular as slow cookers provide many advantages. They are economical by not using as much electricity as a conventional oven and the crockpot makes cheaper cuts of meat incredibly tender. A Crockpot won’t heat up your kitchen on a hot summer day so you can slow cook a meal all day without raising the temperature in your kitchen. 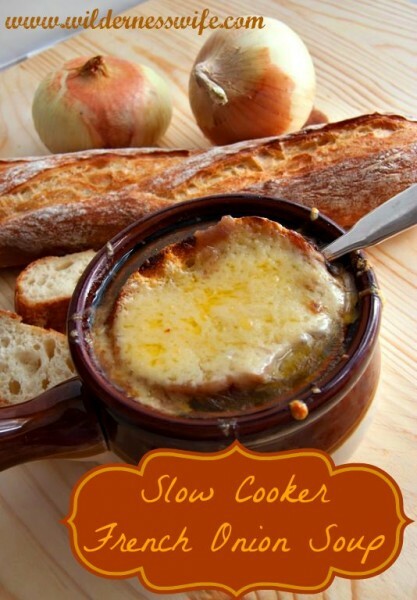 If you have never used a slow-cooker, give one a try with one of our favorite recipes. 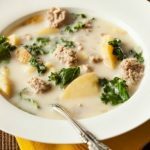 Soups are great choice as they simmer in the slow cooker all day melding the flavors together and filling the kitchen with appetizing aromas. 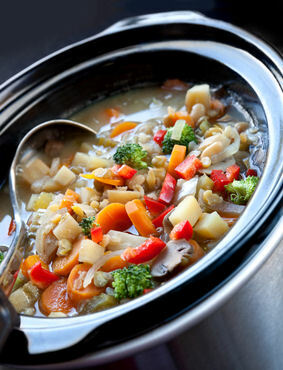 Our CrockPot Mushroom Barley Soup recipe is extremely popular as is our Slow-Cooker French Onion Soup.